And poetry filled my heart. As he taught me who I could be. To babes as beautiful as life. As we created home, and art, and family. Love was not meant to be just fine. But all that was long ago. 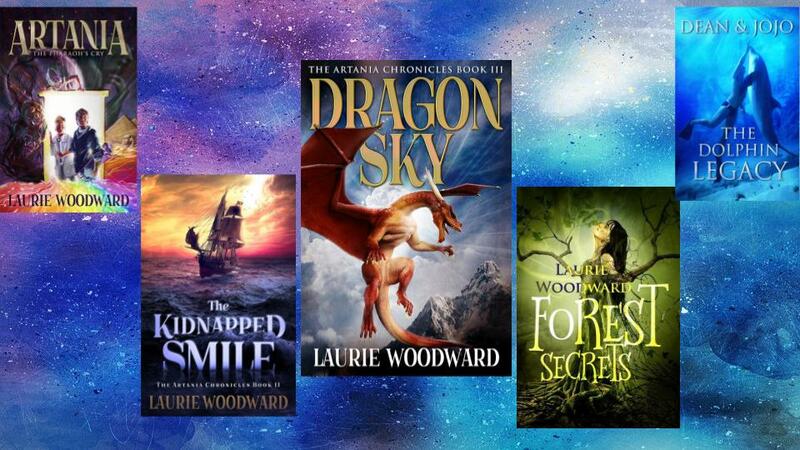 Laurie Woodward is the author of several novels including Forest Secrets, and the fantasy series The Artania Chronicles. She also cowrote Dean and JoJo: The Dolphin Legacy and was a collaborator on the popular anti-bullying DVD Resolutions. Bullied as a child, Laurie is now an award-winning peace consultant, poet, and blogger who helps teach children how to avoid arguments, stop bullying, and maintain healthy friendships. She writes her novels on the Central Coast of California.